SEE WHAT OUR BRIDES HAVE TO SAY. 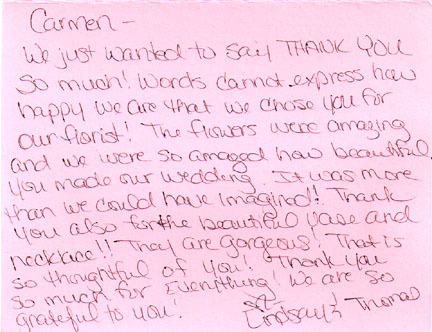 See what some of our brides have to say with these authentic, hand-written testimonials. And While you're at it, check out our 5-star reviews on WeddingWire & TheKnot.